It’s the Year of the Dog and that means the pooch in your life deserves to be celebrated even more than they usually are. That’s why Vancouver Art Gallery Plaza is hosting an event during LunarFest, on Sunday, February 18, especially for you and your canine compadre. 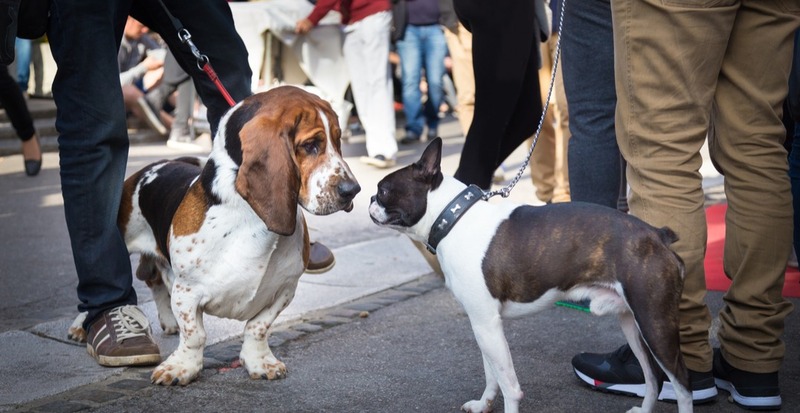 For one day only, you’ll be able to go along to the Art Gallery Plaza with your four-legged friend to take part in a plethora of activities at LunarFest Market. You can take a photo with Canadog the Space Husky and pick up some new toys or trinkets for your walking buddy while you’re there. It’s an impromptu play-date with new canine friends, and you can both fill up on delicious Lunar New Year foods! Plus, how often does your dog get to see the largest gallery in Western Canada? There’s also going to be everything from food to ballet, a Moon Crawl, and even doggie arts and crafts taking place at the Vancouver Art Gallery Plaza on Saturday, February 24 and Sunday, February 25. Another Vancouver venue that will be celebrating your furry friends is Oakridge Centre. The mall is partnering with the BCSPCA during their fourth-annual LunarFest celebration taking place from February 7 to February 25. For the duration of the festival, 100 ‘Year of the Dog’ inspired, artist-rendered figurines will be located in retail storefronts throughout Oakridge Centre. And at the end of the festival, they will be available to purchase for $38 each. Make sure to check out LunarFest celebrations at the centre where there will be exquisite art installations, including 10 golden dog sculptures which will be sitting atop fountains located in the East Galleria of Oakridge Centre. And if you upload images of your dog(s) to Instagram, Facebook, and Twitter with the hashtag #dogsofoakridge, Oakridge Centre will donate $1 to BCSPCA for every posting. LunarFest is designed to be a festival that celebrates one of the oldest traditions in many Asian cultures, the Lunar New Year. It’s Canada’s biggest presenter of contemporary expression in Asian arts and culture which began back in 2009. It was originally built to be a Vancouver Winter Olympics Legacy event. Since then it has extended to other areas in BC and Ontario where it brings soul, art, and life, together on one stage. For more information and to see a full schedule of events, visit LunarFest.